Hi, I’m Matt and I am the resident in-house photographer here at O Beach! I’m blessed to be based in Ibiza, it really is a photographer’s paradise! It provides no end of inspiration: the amazing natural scenery- sandy beaches, rolling hills, jagged islands, forest and olive groves; the beautiful ancient and contemporary architecture; and the ever present sun with its unique quality of light and unrivaled sunsets. 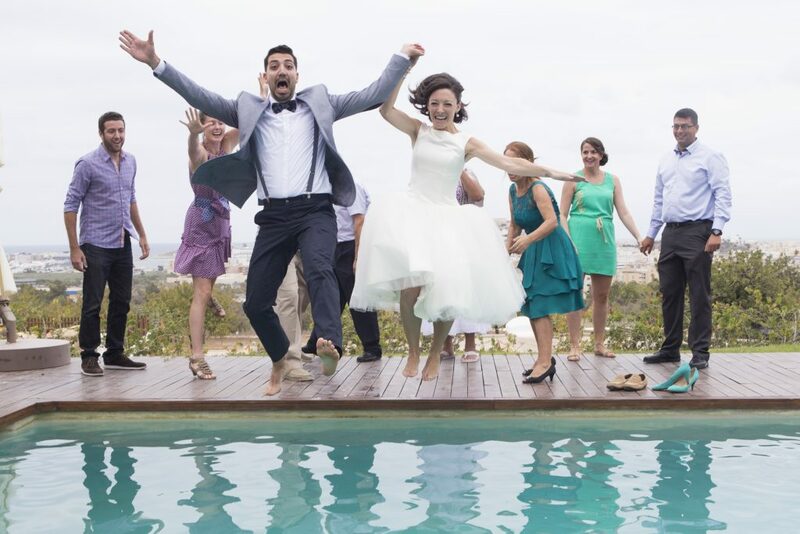 But above all for a wedding and event photographer who is passionate about human emotion and joy, it is the people who inspire – from the laid back welcoming and traditional Ibicencans, the open-minded simple-living hippies and artists, to the hedonistic fun-seeking visitors who bring colour and excitement to the summers from all over the world. 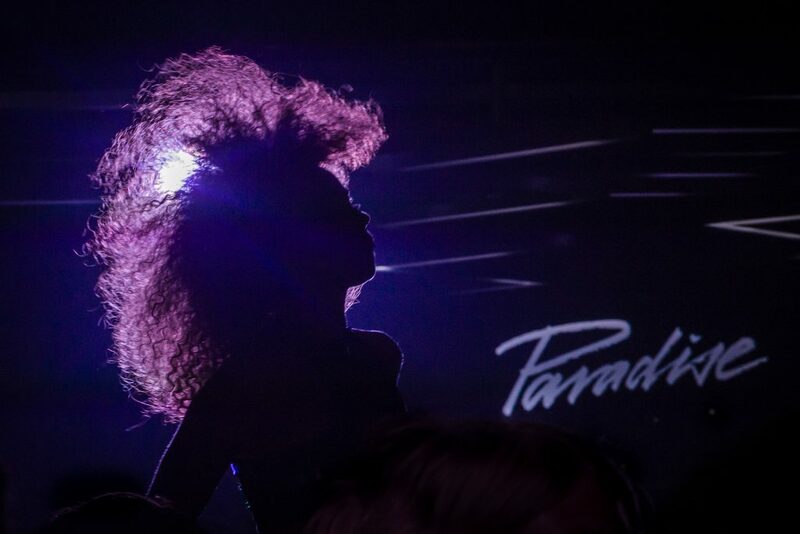 From the chic to the freak, everyone is represented and accepted here in Ibiza and this hotbed of personalities and attitudes combines to create a unique atmosphere and passion for life. 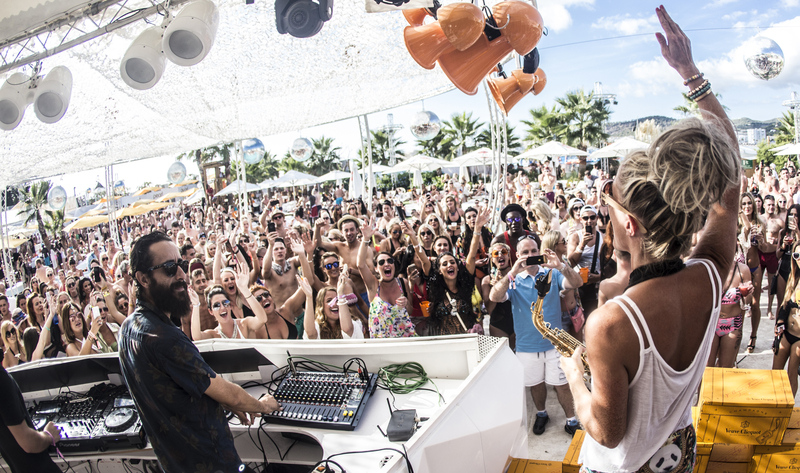 This is from DC10, my favourite club on the island. Its incredibly dark, clubbers are not necessarily the most animated and the visual entertainment is kept to a minimum- all that you’d expect from an ‘underground’ club, making my job very difficult! There are no raised vantage points for me to shoot from, so I had to stand on my tiptoes for ages with my camera trained over clubbers’ heads at a dancer waiting for the right moment. I was pretty happy with the results, her afro looks amazing caught in the light! This fun-loving couple enjoy practical jokes and were desperate to make this shot the highlight of their wedding day! After quite a traditional and low-key ceremony in the Dalt Villa, this certainly served to stun the unsuspecting guests! I have a sequence of these images from take-off to full immersion, and the increasing shock on surrounding faces always brings a smile to my face! I love this serene long exposure shot taken from Cala D’Hort beach at sunset. 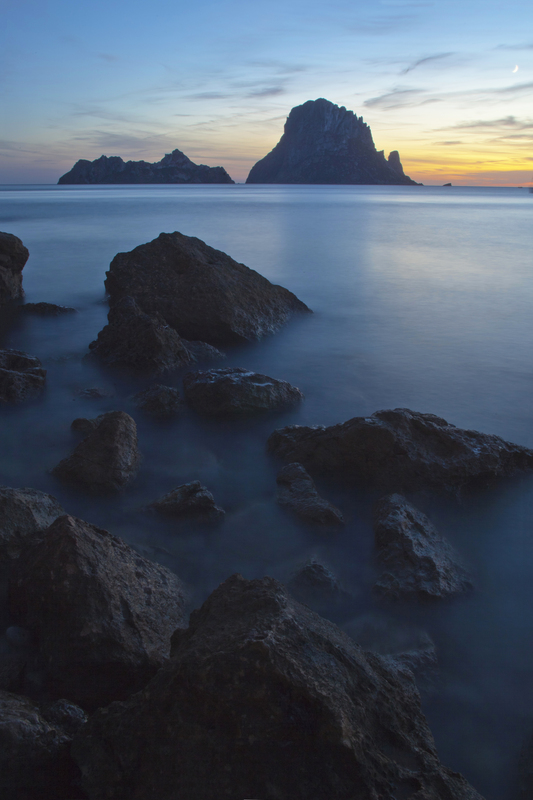 It personifies the mystery and majesty of the great Es Vedra, a sight which never fails to take my breath away. 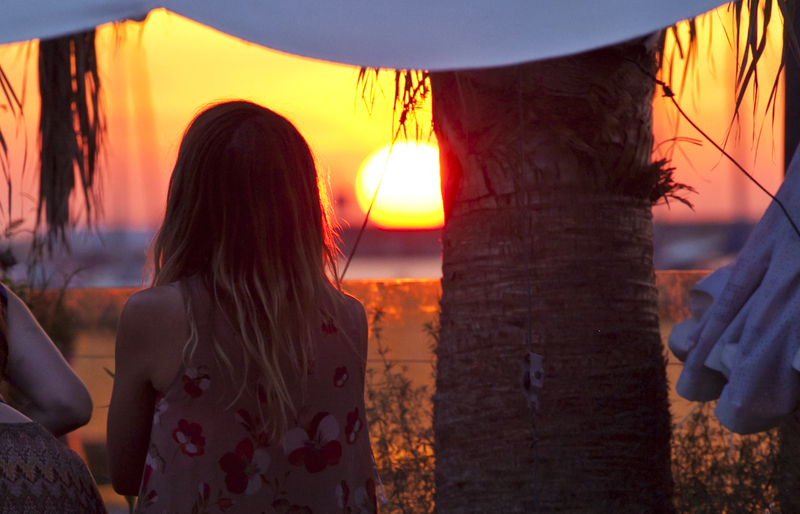 Here is a moment of reflection in front of the famous Ibizan sunset. Having travelled widely, I still believe Ibiza has the most consistently beautiful sunsets in the world. I love this shot of Lovely Laura playing to the O Beach crowd. She is a star attraction on the island and never fails to whip up a frenzy whenever she plays! This is a very simple shot but has been used so much in the promotion of the venue. 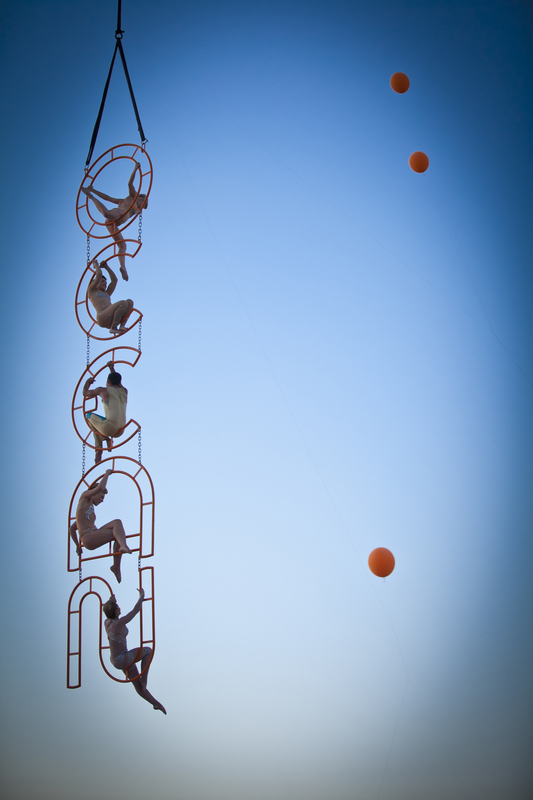 The acrobats are in quite cohesive poses which I think helps the composition. 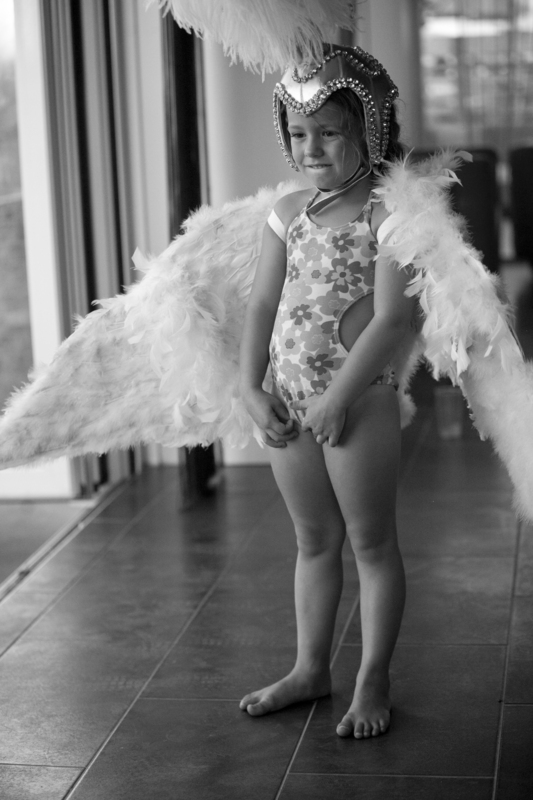 A daughter of one of the Ocean dancers has put on her mum’s costume backstage. She is cuteness personified! Despite its party reputation, the club is still very much a child-friendly venue and I have so many shots of youngsters having the time of their lives in and around the pool! I love these cheeky chappies! Their braces and bow ties are brilliant! And onto the shameless plug – you can check out more of my photos on my website www.mattmorganphotographer.com and if you or any friends are getting married in Ibiza or the UK (or in fact anywhere in the world!) please do get in contact!